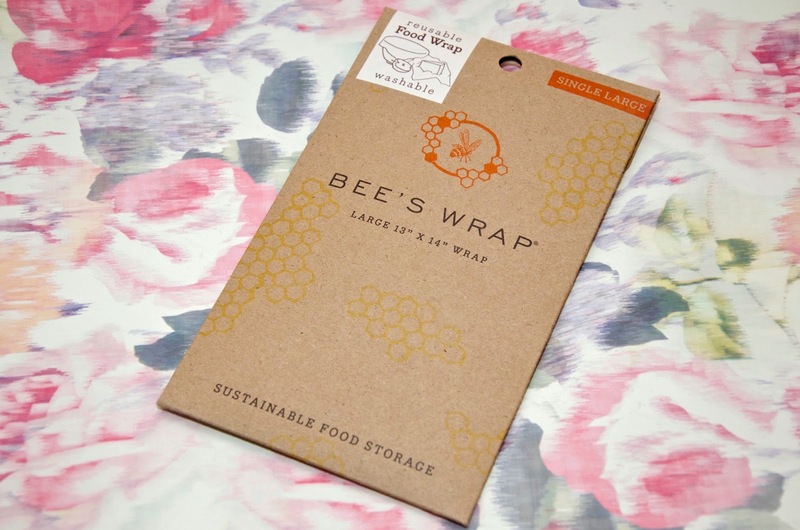 I probably use an insane amount of cling film and tinfoil, so I was very excited to find out about Bee's Wrap, a sustainable food storage wrap that you can wash and reuse over and over again. Whether using to wrap food in the fridge, for packing a lunch, for keeping bread fresh or to cover a bowl or jug, this reusable wrap is such a great idea for reducing waste without sacrificing the freshness of your food. You might be asking yourself how it works. Well, it's pretty simple actually. The cloth is organic cotton, but it's infused with beeswax, organic jojoba oil and tree resin. The beeswax melts slightly with the warmth of your hand, so you simply wrap or cover the item you're using it for and use your hands to shape and seal it. It's so easy and it totally works! The wrap can then be washed with cold water and a little mild dish soap, then simply hang it up to dry. If you're using it a few times a week, it should last for a year, which would seriously cut down on your use of plastic bags & wraps and tin foil, not only saving you money, but also helping out the environment too! I love my Bee's Wrap! I've used it loads since receiving it, mostly for wrapping cheese as I have the large one, but these handy little helpers are available in multiple sizes and shapes, so all your bases will be covered. They are easy to clean and dry super fast - mine usually dries overnight and is ready to use again the next day if I need it and because they are simply pieces of treated cloth, they're easy to fold up and store. 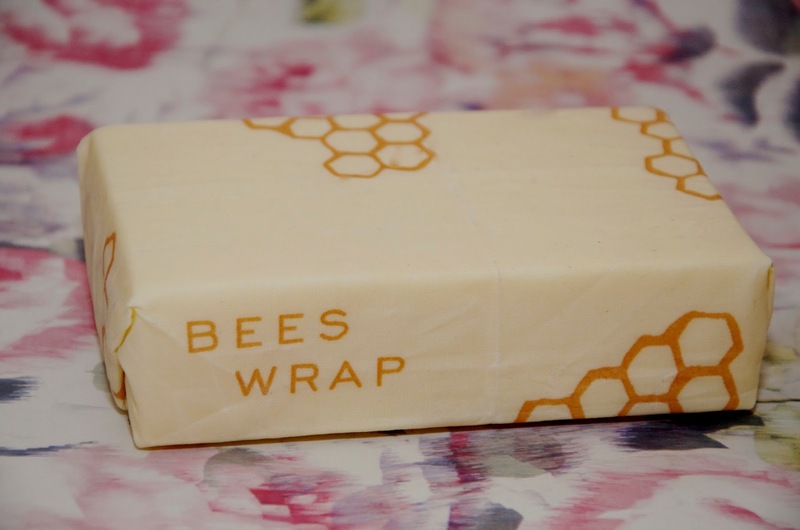 No more worries about finding places to fit all the awkward boxes and tubes for various plastic and foil food storage options... Bee's Wrap covers all the bases! They also come in a few different patterns, all of which are super cute. 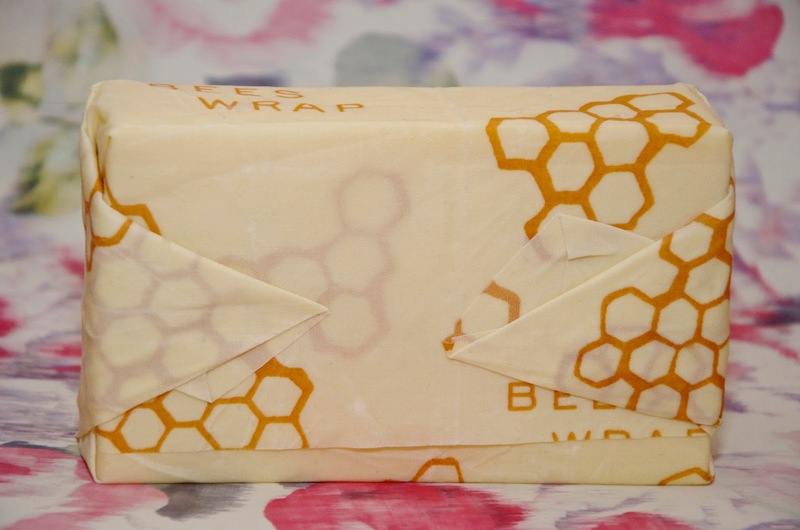 While I'm happy to report that Bee's Wrap ships worldwide, it is also available in the UK via The Wise House, a UK stockist of the Bee's Wrap product range. The Large Bee's Wrap in the honeycomb print (seen above) is available in an assorted pack of 3 for £13.95, or you can purchase two assorted packs of 3 for £27.50. There are lots of other options too in assorted patterns, including the super handy Sandwich Wraps for packing lunches. For more information or to buy, visit www.thewisehouse.co.uk. The packaging reminds me of a block of butter. I would actually like to see what this wrap looks like in real life before I start using it for storage for my food. Any chance you can show us a picture of that? Hi Michael, thank you for your comment. Apologies if I was unclear above. The packaging is actually in the first photo - the wrap comes folded neatly in the cardboard package. The other photos, which I would assume are the ones you're referring to as "looking like a block of butter" are actually of a block of cheese that I wrapped in the bee's wrap - that's what it looks like when you use it to wrap something. Thanks very much for the feedback and I hope this was a useful response, but if I haven't fully answered your question, please feel free to leave a further comment or send an email to me at ashley@pinkjulepabroad.com. Cheers!